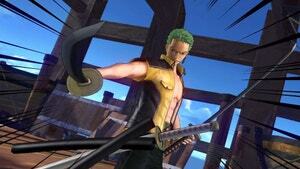 One Piece: Pirate Warriors? Count Me In! I have already written in detail about how insane it was for me to play this game, having little to no knowledge of One Piece itself heading in. As I love all things over-the-top crazy, the story of One Piece — as presented in this game — felt like the pure fun of unbridled imagination set lose. Fans of the series will no doubt love One Piece: Pirate Warriors as well since the game lets them experience the most exciting parts of the story first-hand. But those who have no prior interest in One Piece and/or are not amused by non-sequitur storytelling will find little to like in this highly abridged One Piece narrative. As far as basic combat goes, there is very little here that differs from Dynasty Warriors games dating back to the PS2 era. Enemies come at you, some attack, most stand around, and you slaughter them by the hundreds. Still the game does a good job of changing up combat with varying enemy types and new combos unlocking as you progress through the game. And while Dynasty Warriors's standard zone-by-zone capture battles are still present in this game, most levels follow a completely new play style. The majority of stages in One Piece: Pirate Warriors are "action" stages where you do a mixture of platforming and puzzle solving alongside sporadic combat. The puzzles are an ever more complex series of block and switch puzzles while the platforming heavily utilises quick time events to traverse the environment. Don't worry about the quick time events, though. As the button presses for each type of event are always the same, you'll rarely fail one — and even if you do, your only punishment is being returned to the last platform. But as good as the gameplay is, the highpoint of this title is the presentation. 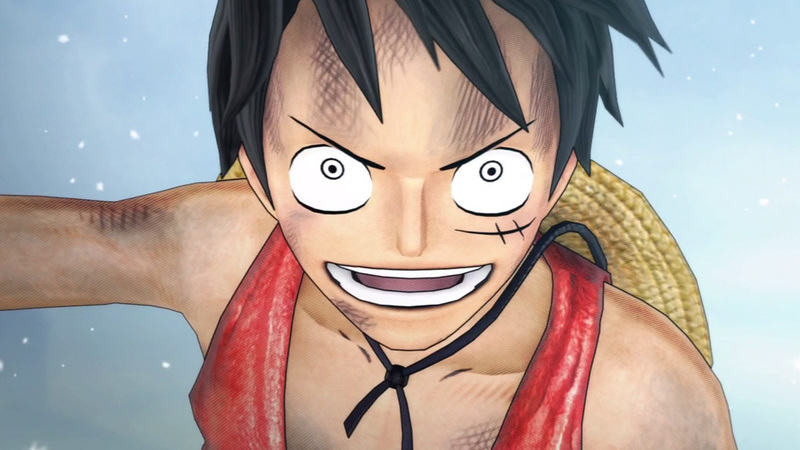 Much like Sega's Valkyria Chronicles, One Piece: Pirate Warriors uses a real time cel-shader to make the game appear as if every frame was drawn with coloured pencil instead of computer animated. As One Piece itself originated from a manga, this is the perfect visual choice for the game. On the audio side, the entire main cast of the anime returns to voice their roles while the soundtrack is largely composed of standard Dynasty Warriors electric guitar riffs. When playing the main story, you will spend 90 per cent of your time as Luffy, taking over other characters only for special boss battles. However, as you progress, you will be unlocking characters and stages for free play battles and — far more importantly — multiplayer. 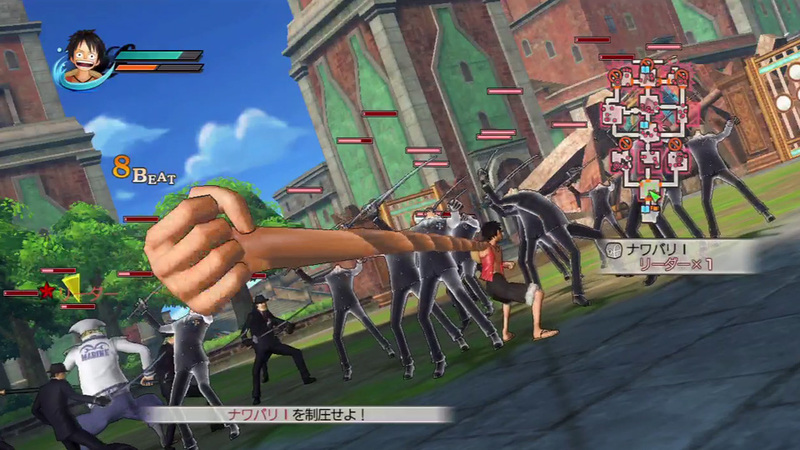 While past Dynasty Warriors titles have been limited to local multiplayer, One Piece: Pirate Warriors allows for online play of any of its traditional Dynasty Warriors levels. When I picked up One Piece: Pirate Warriors, I was sure it was going to be just another run-of-the-mill Dynasty Warriors title. Yet within minutes of starting, I found myself anxiously awaiting both the next crazy story moment and enjoyable classic puzzle. In the end though, this game is not for everybody. One Piece and Dynasty Warriors fans — and anyone who likes over-the-top insanity — will love it. For everyone else, not even Nami's low-cut top will be enough to keep them playing. PLEASE tell me you somehow managed to play this with english subs/menus?!? !